Obama knew everything. He was involved in the Trump-Russia investigation from the very beginning. He approved it and was briefed on the progress every day. How do we know this? The Deep State rats are abandoning ship. Trump authorized a full investigation into these Deep State and Obama criminals and now they're ratting out their co-conspirators. But now that justice is in sight, the Congressional leadership is once again trying to shut it down. Nancy Pelosi is burying the evidence in the House and McConnell is trying to stop Lindsey Graham from dragging these criminals in to testify. Please, you have to send your instant FaxBlast to Congress right now and FORCE them to investigate, prosecute, and, if necessary, arrest each and every one of these Deep State and Obama criminals! The entire Trump-Russia collusion investigation was a lie from the very start. Mueller's report says, and I quote, that "the investigation did not establish that members of the Trump campaign conspired or coordinated with the Russian government in its election interference activities." There was never any evidence of collusion. And yet, the Obama administration was able to convince FISA judges to grant multiple surveillance warrants against Trump campaign advisors and associates. A sitting administration spied on an incoming President and attempted to reverse the outcome of an election. We know that the whole investigation was infected with anti-Trump bias. Peter Strzok, Lisa Page, and Andrew McCabe literally called the investigation their "insurance policy" in case Trump got elected. But these traitors couldn't have worked alone. For months, we've known that this investigation would have needed the White House's blessing to start. Thanks to Rep. Doug Collins, we know that the Obama White House approved it all. Not only did Lisa Page and Andrew McCabe brief the White House directly, but the "progress" of the witch hunt began being added to President Obama's PDBs. This wasn't just a handful of treasonous FBI agents... This went all the way to the top in the Obama White House. 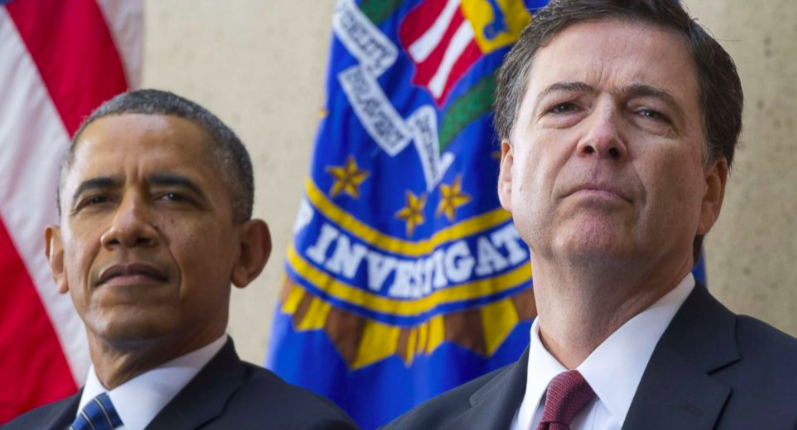 James Comey knew... Loretta Lynch knew... and yes, even Barack Obama knew. They knew that the Trump campaign was being surveilled and that the only "evidence" was a fictional dossier that the Clinton campaign paid for. We the People were never supposed to find out about this. Hillary was supposed to win and when she didn't, Mueller was supposed to clean up the mess. You and your colleagues have known about all of this for two years. You have allowed Paul Ryan, and now Nancy Pelosi, to sweep all of this evidence under the rug. But thanks to Rep. Doug Collins, it is now all in the open. I am demanding a full investigation into these Deep State and Obama criminals. It is shameful that it took over a year for this information to become public. But if you allow this to be buried any longer, you will be removed from office. President Trump is right. No President should ever have to deal with this again. For that matter, no American should have the Federal law enforcement apparatus weaponized against them like this.